Another treat I just found. 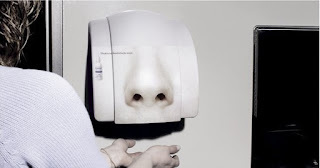 Does look slightly eery but it's still a clever little idea to promote a nasal discongestant. Glamorous isn't it?